In this article I’ll explain how to run effective loyalty programs with social media. Loyalty programs are ongoing campaigns that use rewards to create repetitive behavior among your customers. Participants take actions on a regular basis, and the accumulation of those actions is what benefits the company and the loyal audience. Since user actions must be easy and achievable, it’s better to provide small rewards on an ongoing basis rather than just one big prize for an action that only a few can complete. 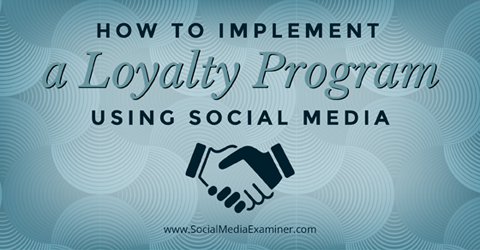 Discover how to implement a loyalty program using social media. To create a loyalty program, start by deciding on a business goal. Then determine what actions users need to complete to help you reach that goal. Finally, decide how to promote and encourage those actions. Here’s how to run different loyalty programs using social media. Facebook retargeting and Twitter retargeting allow you to show ads only to users who have visited specific pages of your website. Use this technique to drive traffic through a range of pages within your website over a period of time, and reward users as they proceed to the next step or complete the process. 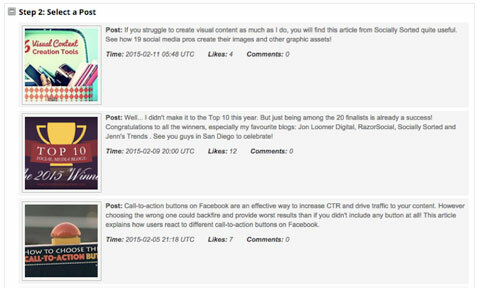 To do this on Facebook, use a combination of different website custom audiences. This same process can be adapted for Twitter. Use Facebook remarketing to target users who are already interested in your company. 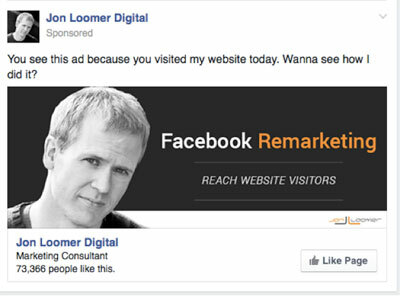 Jon Loomer recently tested this. Over a few weeks, he provided new content only to users who had previously visited a specific page. Jon was able to identify his most engaged audience. Plus, his campaign costs—including conversion costs—dropped as the campaign proceeded. Jon provided exclusive content to users who progressed through the campaign. 1. Create a link ad to show to your target audience. Users clicking on that ad should be taken to a specific landing page. 2. Create a website custom audience for visitors to the landing page associated with that first ad. 3. After a few days, create a new campaign with a new link ad to show ONLY to users from the previous website custom audience. 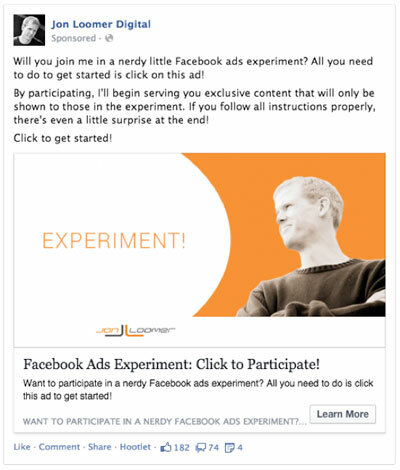 By doing this, Facebook will show your ad only to users who visited the first landing page. Create progressive ads. Each page creates a new website custom audience used to serve the next ad, thus filtering non-interested users. Users cannot visit a specific page if they haven’t visited the previous one. At the end of the campaign, you will have list of highly engaged users who visited all of the pages from the campaign. It’s essential to provide something of value on each page so users have a good reason to click on your ad. To avoid users jumping directly into an advanced step without having visited all of the previous pages (since this does not create a repetitive behavior), do not include any internal links on your website pointing at them and do not index any of these pages on search engines. Here are a few things to keep in mind, as this method could have some complications. You are dependent on Facebook. If Facebook doesn’t show an ad to a specific user due to an algorithm glitch or because you exhausted your budget, that user will be prevented from visiting the page associated with that ad. And that person will not be included in the custom audience for the next ad. You are dependent on user settings. Some user actions like deleting cookies or changing devices could also affect the outcome of this process, preventing users from seeing a specific ad. To avoid these, allow users to catch up on content they may have missed. This will also prevent them from jumping directly onto the last page to claim their reward. Therefore, make page 1 accessible to everyone. Put the first link on your home page. Remember, the ad for this page is targeted at a broad audience, so this is not a problem. Edit page 1 to include a link to page 2 once the second ad is live and running (not before). This way, you give everyone the opportunity to revisit page 1 and keep the process going. 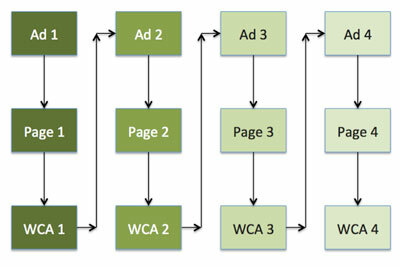 Then repeat this process as you include more ads. If your goal is to increase your Facebook organic reach, you’ll need to increase user engagement. 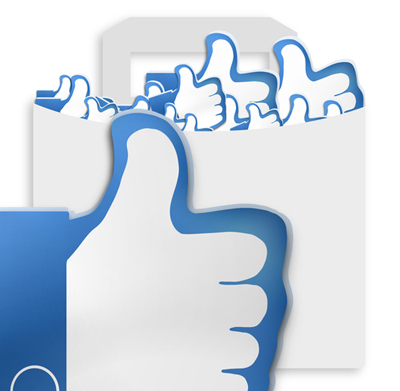 So for your loyalty program, you could provide points for each like or comment on your posts. This kind of incentive is probably the easiest way to create a loyalty program. There are two main advantages to this method. First, likes and comments increase exposure. As your fans engage with your content, that content will also reach some of their friends, and they may join the program as well. Plus, users will actively look for your content and engage with it, and that extra engagement will increase your page’s organic reach. Likes increase exposure. Image: Shutterstock. This technique is commonly used in the form of timeline promotions, where there’s usually a single winner. However, the key to generating repetitive behavior is making users feel they can earn something with each action. Provide points for each comment or like. Then give users ways to exchange these points for something of value. Allow them to accrue and redeem points for some of your products, reward the most engaged user each week or month or offer users access to different tiers where they can obtain additional benefits. Decide what you’re tracking and what counts as points. Then monitor the activity. Certainly you can track activity manually. However, it may be a bit of a challenge, especially if you get a lot of participation. To help you with this task, try a third-party platform to do the hard work for you. Here’s how to do this using ShortStack. 1. Connect your page with the app and go into Forms & Promos in the top menu. 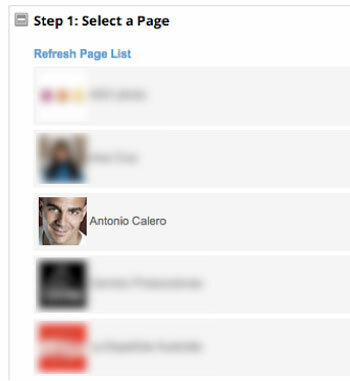 Then click on Importing Entries from a Facebook Page Timeline link. Provide a name for your promotion and click on Create and Import. Log into ShortStack, go to Forms & Promos and choose Importing Entries from a Facebook Page Timeline. 2. ShortStack will show you a screen that lists all of the pages you manage. Select the page where you will be running the program. Select the page you’re using for the promotion. 3. Select the post you’d like to track. Next, select the post you’re tracking. 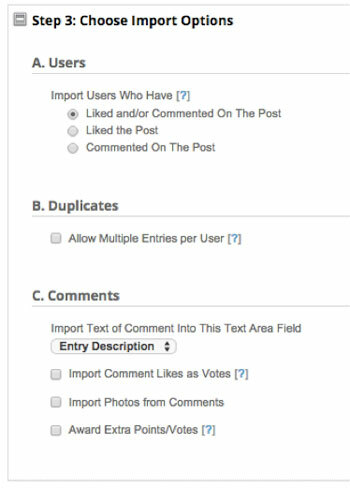 You can select only one post per data extract. 4. Select the different import options. Decide what type of action you’d like to track (likes, comments or both, and whether you’ll allow multiple entries from the same user, as well as in what way comments (and comment likes) count. Select the data you want to extract from each post. 5. After you create the promotion for a single post, click on View Entries from your promotion to download all user actions. Click on View Entries to get access to all actions from users. The Export button will save all data into an Excel file. All user actions will be exported into an Excel spreadsheet, along with other valuable information like date, time and user IDs. This information can also be used to create a new Facebook custom audience. To make your loyalty program more effective, repeat this type of promotion over a period of time, exporting data from each post on your page. Then merge all the files into one unique spreadsheet and use a formula to count how many times each user ID has been found in that spreadsheet. Publish ongoing results on a regular basis to maintain interest from users. For example, publish a post with your top 10 users each month and offer them a prize or discount for engaging with your page regularly. Many times, conversions for your social media activities will occur elsewhere, like on your website, a newsletter or even offline at a brick-and-mortar business. In these cases generating repetitive behavior on social media may not be enough to achieve your business goals. However, running separate programs on different channels could be difficult to manage. It’s possible to track loyalty programs across different marketing channels. Image: Shutterstock. If this is your case, you could use Antavo to integrate your loyalty program across different channels. Integrating Antavo’s loyalty program with your website and social media accounts will require some assistance from the platform’s support team. Once this step has been completed, the tool is really easy to use and highly customizable. 1. Decide which user actions you’ll be tracking on each channel. Don’t make the program too complex by selecting too many actions. If users perceive your program as difficult to follow, they may disengage. Simple is better. Image: Shutterstock. 2. Decide on the program rules. Rewards: These are more “tangible” incentives, like free products, priority shipping or discount coupons. You can reward for single actions or for the accumulation of several actions. Badges: These are unlockable achievements that can be collected. Badges can be customized and branded according to your needs. 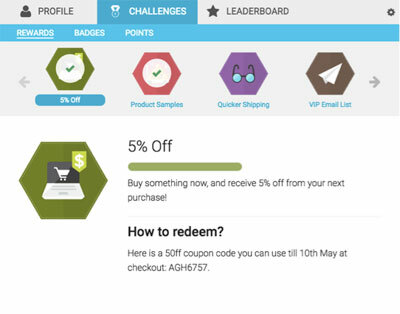 Points: Users can collect points that can be redeemed for rewards later. Points must be accrued to claim a reward. 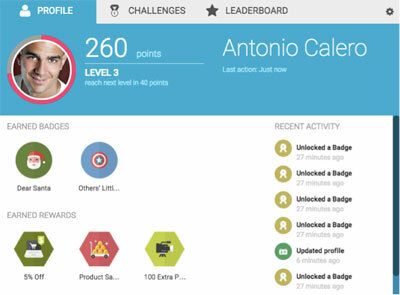 Levels: Program participants can reach different tiers as they accumulate points. 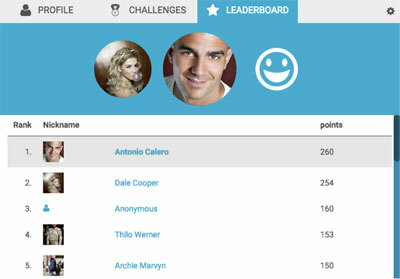 Ranking: Users can see how they rank compared to other program participants. You could show user rankings to provide additional incentives; for example, the monthly top five obtain a reward. 3. Create the rules and badges required. Finally, you need to connect user actions with each incentive and specify their values. For example, if your goal is to increase website traffic from Facebook (step 1) and you have decided to offer a 20% off discount (step 2), now it’s time to configure which actions will be counted toward that reward. You will need to configure each rule for each action in each channel. 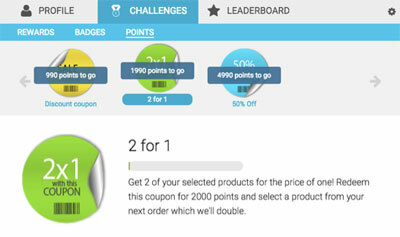 For example, the image below shows the rule for when users purchase more than two specific products. Creating the right rules could define the success of your program. Connecting your website with Antavo’s loyalty program is done through a dedicated API, while social media actions are tracked directly through connecting the program with your Facebook account. 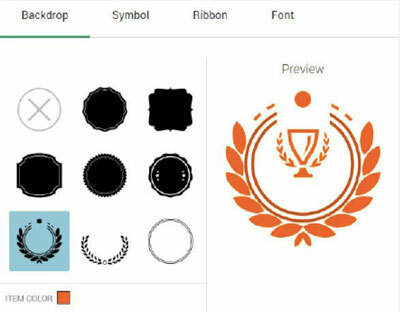 Furthermore, you could also design all badges, stickers and icons to include some branding in the program. Make sure you create some branding around your program, as many users will surely share their achievements on social media. Program participants can see their performance via a dashboard, and thus how close or far away they are from achieving the next milestone. Understanding the outcome of each action will make users feel in control, which is another good incentive. The ability to keep an eye on their progress will maintain users’ interest and thus increase engagement. Loyalty programs are a step beyond promotions and competitions, where usually only a few people get rewarded. 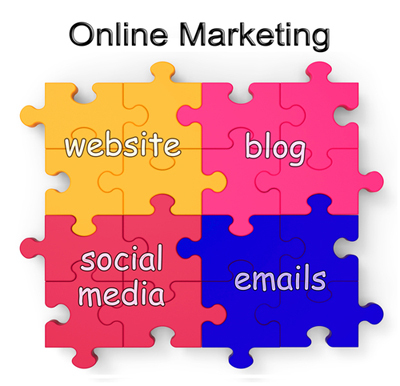 They are an effective way to boost your business results and increase user engagement. Create a structure that rewards users after they complete specific actions. As users accumulate and redeem rewards, they only get more interested, involved and encouraged to do more. What do you think? What is your experience with loyalty programs? Have you created them, participated in them or both? What are some good examples? Are there good apps to use to manage loyalty programs? Share your thoughts and recommendations in the comments below. 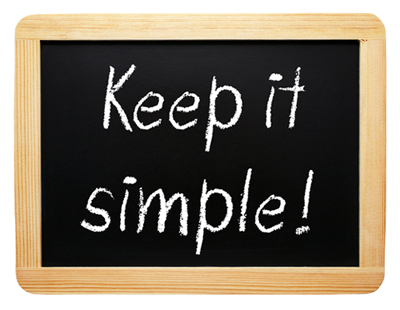 Incentive photo, Thumbs up photo, Online marketing puzzle photo and Keep it simple photo from Shutterstock.